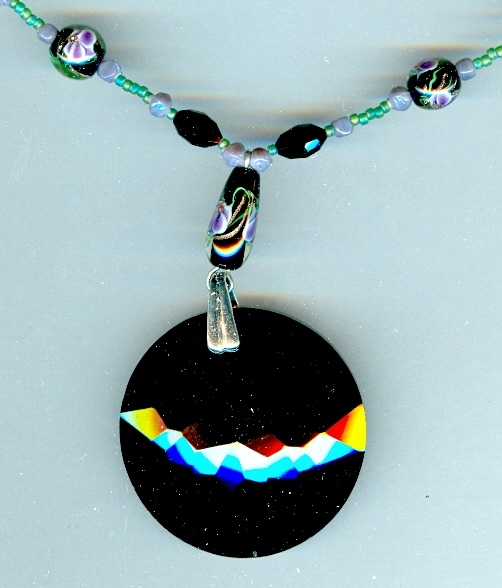 The pendant is a 45mm (a bit more than 1-3/4 inch) diameter jet black faceted glass disc. It?s suspended from 20 inches of lampwork glass, faceted glass and matte green seed beads. The lampwork beads were made especially for SPARKLE PLENTY, and feature lovely lavender orchids, green leaves and threads of metallic gold against a core of jet black. The lampwork and faceted glass beads are flanked with small Indian glass beads in a lavender that matches the lampworked beads to a tee. 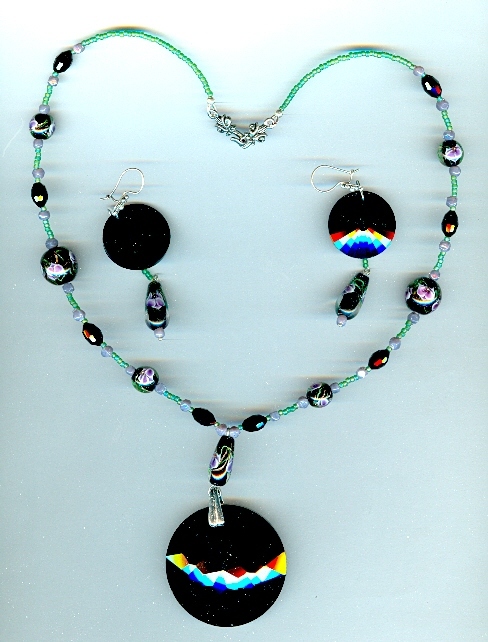 The necklaces closes with an antique silver plate over pewter hook set. 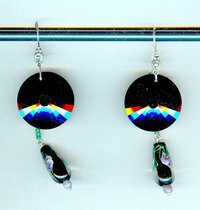 The matching earrings feature 20mm (about 1 inch) diameter glass discs, lampworked glass drops, and sterling silver kidney wires. They measure just over 3 inches from the tops of the earrings findings to the bottoms of the drops. It?s pretty and it?s dramatic; and it?s from SPARKLE PLENTY.